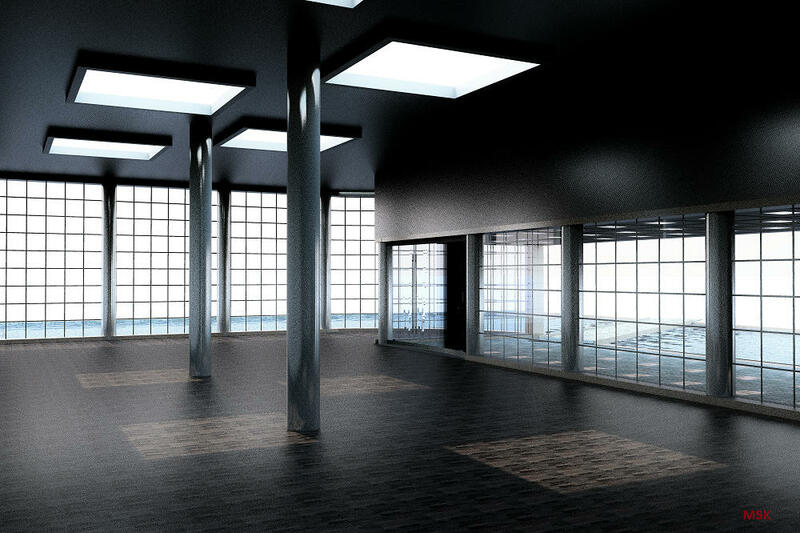 This first test concerns the comparison of rendering with or without caustics photons using SimpleRoom.sh3d file. love the 1st image shows the light broken up by the water, out of curiosity is there another difference in the 3rd image, the lighting on the door is much improved there. The difference between the 1st and 3rd image is that caustics are not visible in daylight with Sunflow rendering engine. I don't know why. and @Mike...your pics looks still better and better... I see you enjoy it.. I am happy. It's also important to note that at this time IBL and Sunsky do not emit photons, therefore, no caustics are viewable when using these lights. I haven't dug through the code enough, but it appears time of day (and, presumably, Sunsky vs IBL) can affect renders even when the scene receives no illumination from the sun. In tests of a rendering issue I finally discovered was caused by mapping different materials to the front and back surfaces of a SketchUp-originated model, I found the same scene rendered differently depending on time of day -- even when the scene was set within an opaque box. Even though neither sky light will generate caustics, you might want to try rendering your scene using a textured sky (or without a textured sky, if one was present for your first render), just to see if one of the two sky models was somehow blocking Sunflow from rendering caustics generated by other sources. Knowing that might possibly help locate and correct the problem within Sunflow. I feel a fool now, , i thought the 20h and 21h referred to the render time, 21 hours to render an image!!! i was never gonna go near caustics. There is nothimg spetial with that shining squares. There are upper windows there and its a normal sun shining through The results are...shinimg squares. It is not final picture. Just only experimnental rendering during the creative process. Thats me over thinking it again, mistook the roof windows for ceiling lights. ...i thought the 20h and 21h referred to the render time, 21 hours to render an image!!! I wouldn't have the patience to wait as long especially that complex renderings monopolize my computer that has only 2 cores. Previous tests on caustics take less than 2 minutes. I had seen this info but I thought that caustics would still be visible with the use of the desk lamp. Previous tests on caustics use a sky without texture. I did other tests with a blue sky texture but I get the same result: no caustics when it's daylight (sun icon). With enhance external brightness enabled.